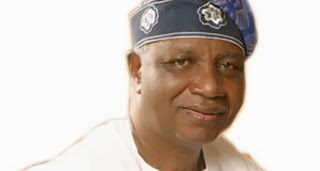 Latest news reaching us from the scene of Thursday morning’s air crash at the Murtala Mohammed Airport, Lagos indicate that former governor of Ondo State, Dr. Olusegun Agagu’s wife and son and Chief Olu Falae's first son, Deji Falae have been confirmed killed by officials. General Manager, Lagos State Emergency Management Agency, Dr. Femi Oke-Osayintolu, confirmed to the News Agency of Nigeria that 11 passengers died while four others have been hospitalised. There were 20 persons on board the plane at the time it crashed. Immediately news of the crash filtered into Akure, the venue of the lying-in-state for the late governor, Democracy Park, was deserted. The Associated Airlines passenger plane conveying the remains of the former and some family members to the state capital, Akure, crashed on Thursday morning near a fuel dump located at Murtala Muhammed Airport in Lagos.